A union representing clerical and maintenance workers at the University of Chicago and the University of Chicago Medical Center (UCMC) expressed concern about members’ contracts with the University and UCMC at a prayer vigil yesterday evening. The Brotherhood of Teamsters Local 743 is negotiating for higher wages and improved retirement benefits in a new contract for their employees at the University. The union is also concerned about treatment of employees under the current UCMC contract. About 40 union members and supporters showed up for portions of the nearly three-hour long event, despite a persistent drizzle. 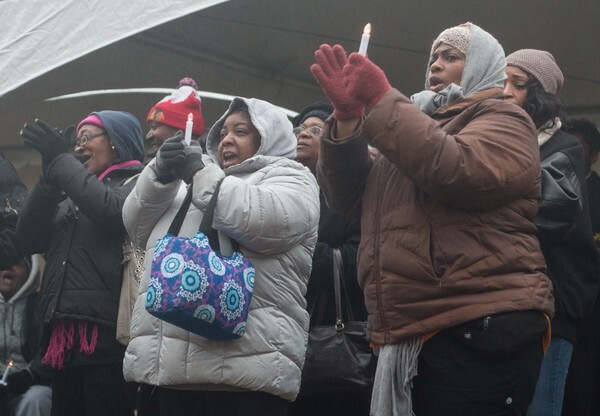 Regarding the UCMC contract, the vigil focused on the case of Lester Land, who was a custodial assistant at the medical center until he was fired in 2013 for threatening and insulting a co-worker, according to the UCMC. A binding arbitration process required by the Teamsters contract found that Land had not been fired for just cause and that the UCMC had to rehire him. The UCMC refused to do so, and filed a lawsuit against Local 743 protesting the decision. Land was visibly emotional as he spoke about the difficulties he has faced since his firing. “What I need, I need my job back, I need my benefits. My son needs my benefits. He’ll be going to college this year. God willing I’ll be able to do something in order to provide that. People make decisions here at the University, and they don’t understand the repercussions behind it...I have nothing left,” he said. “We have been diligently trying to be a team player. The hospital is not labor-friendly,” Debra Simmons-Peterson, President of Local 743, said. 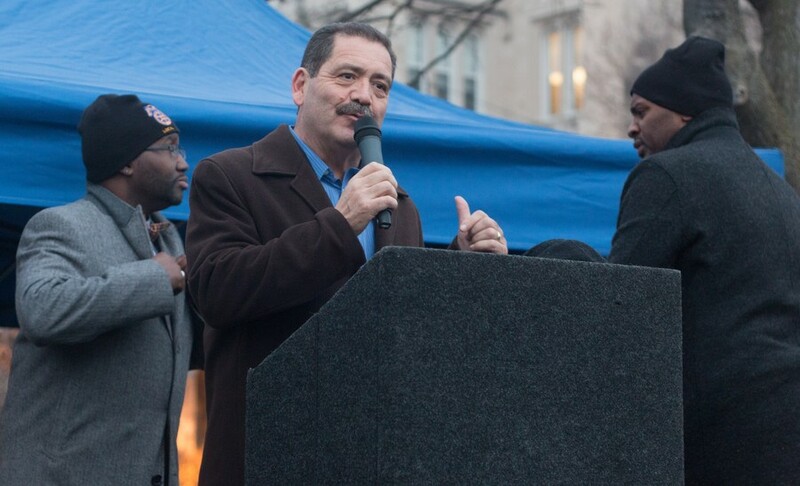 Cook County Commissioner Jesus “Chuy” Garcia, whose mayoral candidacy Teamsters Local 743 endorsed in 2015, spoke in support of the union at the vigil. “I want you to know that you are not alone—that you have friends, and that we stand in solidarity with you...responsible elected officials…call on the University to do the right thing,” he said. James Thomas, Local 743’s Secretary-Treasurer, called representatives of the newly unionized non-tenure track faculty, Graduate Students United, and Students Organizing United with Labor to the microphone over the course of the night. Members of SEIU Local 73, which represents other employees at the University and UCMC, and other representatives of organized labor also spoke at the event. Union members sang gospel music between speakers. Three ministers offered prayers at the conclusion of the event, as attendees gathered in a circle under a tent against the rain. “In our contract you can’t rally and you can’t picket, so what we normally do is hold prayer vigils. Praises go up and blessings come down,” Simmons-Peterson said. The UCMC was unable to provide comment before The Maroon’s print deadline after being contacted late Monday night. Additional reporting by Isaac Troncoso.